Is plus-size a growing sector of fashion? For the past few years, not only has there appeared to be a surge in clothing brands stocking solely plus-size clothing, but many established womenswear companies also now offer dedicated plus-size departments. So, how has the plus-size market developed and what do experts predict for it in the future? From its net worth to emerging trends in the sector, we explore the influence of the plus-size clothing industry and what’s in store further down the line. When it comes to the plus-size sector, the UK fashion industry is generally divided into specialist plus-size brands (which serve the plus-size customer only) and generalist plus-size brands (which have extended their sizing ranges to include plus-size options). As of 2017, the plus-size market was worth approximately £6.6 billion, according to a PwC report, and £4.7 billion of this was for female plus-size clothing only. Perhaps the most interesting feature of plus-size clothing in the UK is its performance when compared to the general womenswear and menswear markets. Reportedly, the plus-size market had a compound annual growth rate (CAGR) of 3.3% during the 2012 and 2017 period, while the men’s and women’s clothing sector grew just 2.4% in the same timeframe. What’s more, the value of the plus-size industry is anticipated to develop at a 7.1% CAGR from now until 2022 and potentially hit a value of £1.3 billion by 2019 — but why and what trends can we expect to emerge as a result? What is helping the plus-size market develop? Many factors contribute to the success of the plus-size sector in the UK, from how its clothing is advertised to the spokespeople who help drive it into mainstream fashion. An increase in body confidence and the support of key fashion influencers have undoubtedly helped to ‘normalise’ the plus-size industry and encouraged its popularity growth. Donatella Versace, vice president and artistic director, Versace Group, said: “Plus-sized women shouldn’t think of themselves as a size. They should think of themselves as women with rich goals in life.” Comments like these from powerful people in the industry have supported the plus-size market, making it more attractive to not only buy into from a consumer perspective, but invest in from a brand point of view. Collectively, the fashion industry has also helped grow the plus-size market via its use of plus-size models at major fashion shows. In September last year, audiences at London Fashion Week saw female models up to a size 26 take to the catwalk — including the notably outspoken plus-size models, Tess Holliday and Callie Thorpe. Similarly, the New York Designers Spring-Summer 2018 Show also sent plus-size models down the runway — although, only two out of a cast of around 70. Despite a rise in the inclusion of plus-size models at major fashion events in the past few years, the number has disappointingly fallen in the most recent fashion shows, according to The Fashion Spot report — only 30 plus-size models took part in each of the four major cities (Milan, Paris, London, and New York). So, perhaps credit has to be attributed to the plus-size models themselves, rather than the brands and fashion show organisers they collaborate with. Recently, the world has seen a surge in plus-size influencers and models which may have been a greater assistance to the growth of the sector. For example, on Instagram, US plus-size models Ashley Graham and Tess Holliday have 7.2 million and 1.6 million followers respectively, while Brits, Callie Thorpe and Felicity Hayward, have 196,000 and 192,000. With their photos regularly receiving thousands of likes and their willingness to speak out against ‘body-shamers’ — most recently by Felicity Hayward and as part of a protest at London Fashion Week — the campaigning and activity of plus-size models for greater acceptance and awareness has almost certainly been driving forces behind the rising value of the market. In fact, global mentions of the hashtags: #BodyPositive, #LoveYourBody and #BodyConfidence all increased between August 2015 and August 2017. Evidently, prestigious fashion shows need to take notice and feature more plus-size runways and models if they are to positively react to the growing support for the plus-size industry. Last year, £16.2 billion was spent by UK consumers on buying clothes, accessories and shoes online, and across the world, revenue from ecommerce in fashion is anticipated to reach $712,9 billion in the next four years. Clearly, digital platforms are crucial in the industry — but how is technology affecting the plus-size sector specifically? According to the previously-mentioned PwC report, plus-size consumers shop online for everything — from plus-size dresses to plus-size beachwear — more than female consumers of general womenswear. Part of the success of plus-size is potentially the proactivity of brands that sell this type of clothing to engage with their target audience in their preferred method — online. What’s more, development in fashion ecommerce sites and online channels have also helped to grow sales in the sector to a greater extent than if there was less online availability for purchasing plus-size clothing. 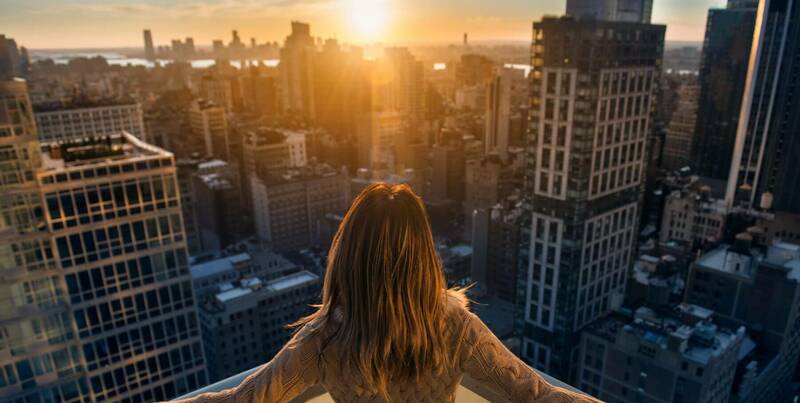 As more well-known fashion brands branch out into plus-size, they will offer a greater tech-based experience to help enhance the end-to-end consumer journey. For example, many brands are currently investing in virtual stylists, body scanners and online fitting rooms — all of which create an interactive and enjoyable experience for plus-size customers that will help bring this specific sector of fashion onto a more even playing field with the overall womenswear market. A lean towards social media advertising and advances in digital marketing are also helping to improve awareness and accessibility to plus-size fashion for everyday Facebook and Instagram users. Instagram Shop is making it easier to buy online without having to visit a store site, while many plus-size retailers are capitalising on the almost 40 million UK Facebook users by channelling their marketing efforts onto this platform. 75% of Facebook users and 59% of Instagram users are aged 16-22 years. 80% of Facebook users and 38% of Instagram users are aged 23-34 years. 69% of Facebook users and 16% of Instagram users are aged 35-49 years. 58% of Facebook users and 9% of Instagram users are aged 50-65 years. Clearly, these two social media platforms are far more popular among the younger generations, which is perhaps why ads and marketing efforts have been redirected here by some specialist and generalist brands of plus-size clothing. With more popular high-street brands stocking plus-size options and a rise in social media coverage of the sector, the plus-size market is able to target a more youthful audience and expand its reach. Google Trends indicates that the number of searches for ‘plus size’ has risen over the past five years, and in the UK, the term reached its peak popularity in June this year. So, if this trend continues, what’s next for plus-size fashion? A report by IBISWorld states that the growing consumer base and rise in retailers of plus-size clothing will help develop the market even further. So much so, that the sector is expected to be an important contributor as a growth market to the wider economy in the next few years. 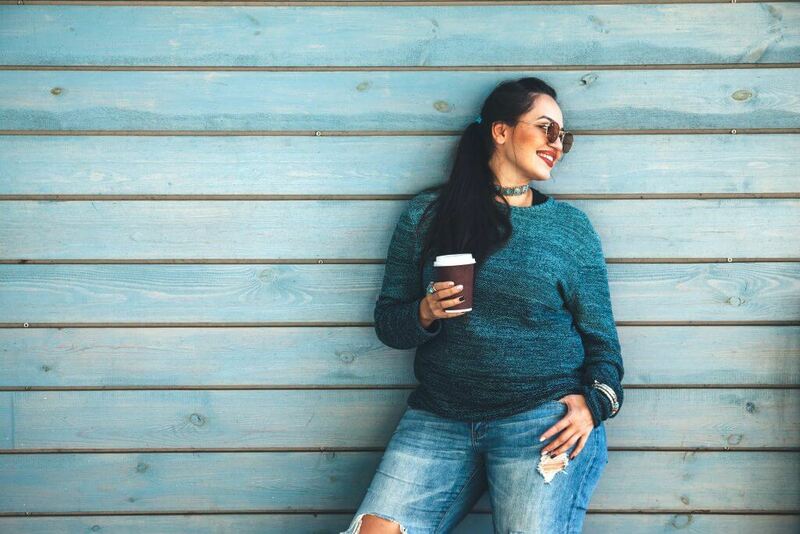 Essentially, IBISWorld believes that the establishment of plus-size brands and a greater relationship to significant markets will be two key factors in the expansion and future success of the plus-size women’s clothing industry. As fashion focuses more on the user experience and virtual technology, we can expect to see greater interactivity between the plus-size consumer and their online shopping journey, as well as key plus-size influencers gaining more authority in their campaigning of inclusivity for plus-size fashion in the mainstream world. With the news that global fashion shows are falling behind when it comes to the exposure of plus-size models on the runway, organisers may react positively and include more of these models in future events, too. Similarly, as the profit-making advantages of plus-size fashion becomes more widely known and supported, it’s fair to anticipate even more luxury and high-street brands channelling investment and resources into creating plus-size departments to complement their current ranges. Overall, the future looks bright for plus-size women’s fashion and we should expect more innovations and developments as the industry gains momentum over the next few years.